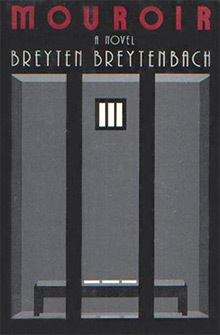 Breytenbach composed this docu-dream during a period of incarceration. Mouroir (mourir: to die + miroir: mirror) is a ship of thought moving with its own hallucinatory logic through a sea of mythic images, protean characters and what the author describes as “landscapes and spaces beyond death, spaces that have always existed and will always exist.” An Orphic voyage into memory and mirage, through passages between death and life, darkness and light, oppression and flight, sense and the sensed. Mouroir. An outspoken human rights activist, Breyten Breytenbach is a poet, novelist, memoirist, essayist, and visual artist. His paintings and drawings have been exhibited around the world. Born in South Africa, he immigrated to Paris in the late ‘60s and became deeply involved in the anti-Apartheid movement. Breytenbach is the author of All One Horse, A Season in Paradise, The True Confessions of an Albino Terrorist, Dog Heart, and The Memory of Birds in Times of Revolution, among many others. He received the Alan Paton Award for Return to Paradise in 1994 and the prestigious Hertzog Prize for Poetry for Papierblom in 1999 and for Die Windvanger (Windcatcher) in 2008.